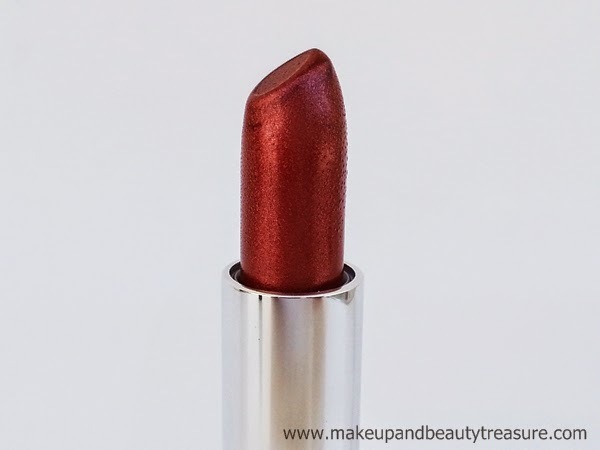 Have you ever heard of gluten free lipstick? Gluten free cosmetics are a boon for people suffering from Celiac disease, which is characterized by an overactive immune response to gluten. Gluten is a protein found in wheat, barley, rye and many food additives. 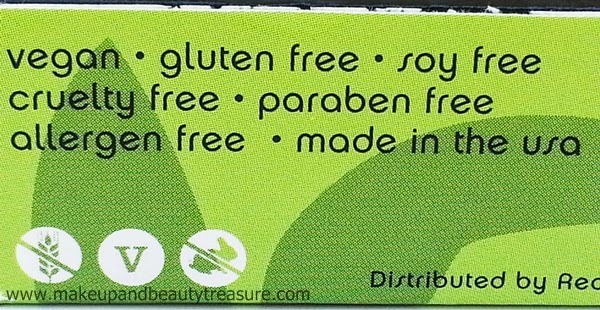 People suffering from celiac have to follow gluten free lifestyle including their makeup. 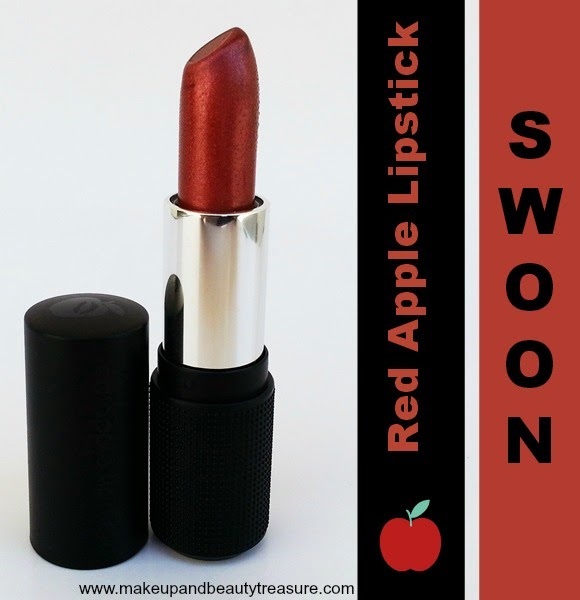 Red Apple Lipstick is one unique brand in US, made by Andrea and Jay Harper, that is known for creating gluten free lipsticks, lip glosses and eye shadows. I am so glad that I got to try organic, gluten free and paraben free lipstick. 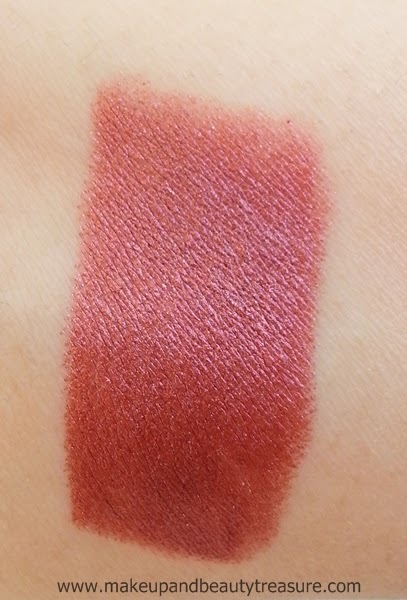 Today I am going to discuss my experience with Red Apple Lipstick in Swoon. What a color!! Slightly brown, slightly plum with a touch of iridescence. Your eyes will sparkle with this amazing tawny plum color. Swoon can be worn with any makeup look imaginable - try pairing with our amazing new matte greens and browns and purples. 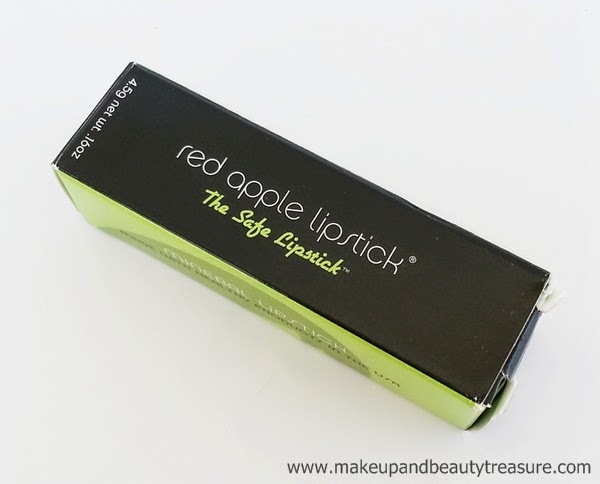 Red Apple Lipstick comes packed in a black and green cardboard box packaging which is wrapped in a green crap paper and securely kept in a white cloth case. 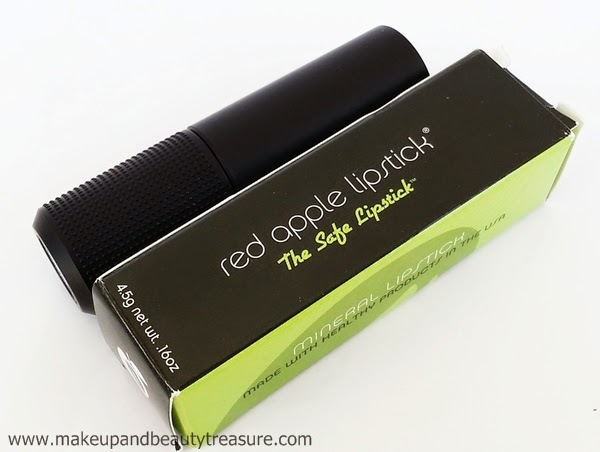 The actual product comes in a sturdy, black plastic tube with Red Apple Lipstick written over the lid. 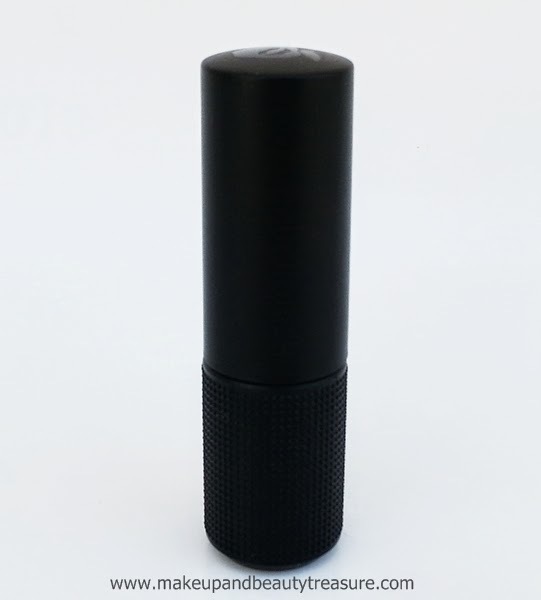 The lower part of the tube has slightly rough texture that allows easy grasp of the product whilst application. 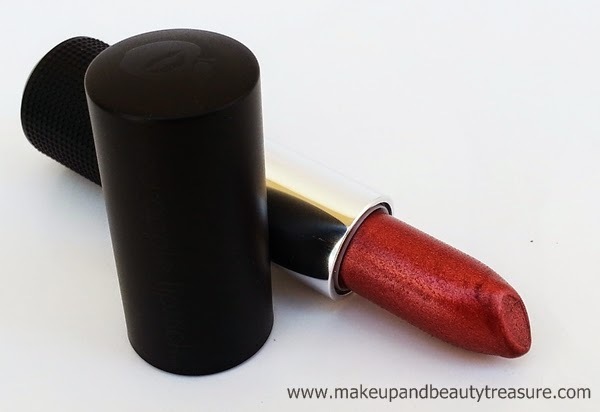 The lid of the lipstick snaps shut satisfactorily and won’t create a mess in the bag. There is a sticker stuck at the base of the lipstick that mentions shade number and name. There is no color representation of the shade on the outer part of the packaging and I need to open it every time to check the shade. Overall the packaging is quite lightweight and looks classy. The scent of the lipstick is very mild and hardly noticeable. At first I thought organic lipsticks would not deliver the same awesome results as that of normal lipsticks but boy I was so wrong. The formula of the lipstick is soft, smooth and creamy. It is applied easily but you have to be careful while applying this shade as any smudge or mistake really shows up and makes you look awful. It can be applied using a lip brush or directly from the bullet. With a firm grip on lipstick, it glides easily across my lips without bleeding, smudging or feathering but I always make sure to apply a lip liner for a more defined look. It is very moisturizing and I don’t feel the need to apply a lip balm underneath it. But if you have extremely dry lips, make sure you exfoliate your lips well and apply a good lip balm. It doesn't feel heavy or greasy on my lips which I cannot bear when it comes to lipsticks. My lips feel soft, smooth and moisturized. The pigmentation is superb and gives true deep color in just two coats. It can be applied sheer as per your taste. You can always layer it up for a more dramatic effect. The lipstick provides full coverage and is a good bet for those who have heavy pigmented lips. It fills in creases and makes it appear smooth. 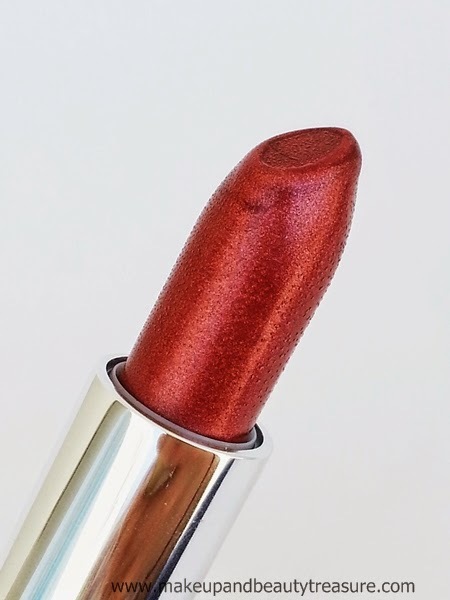 The finish of the lipstick is smooth, even and metallic. The staying power is quite good. It stays put on my lips for a good 5-6 hours with eating and drinking. After that it starts fading leaving behind a beautiful tint. It transfers on mugs, cups or glasses but in a fading way. The lipstick is easily removed with a lip remover without staining or drying out the lips. Swoon is a gorgeous and stunning mix of brown and plum with a metallic finish. It stays true on lips in terms of richness and looks same as it looks in the tube. 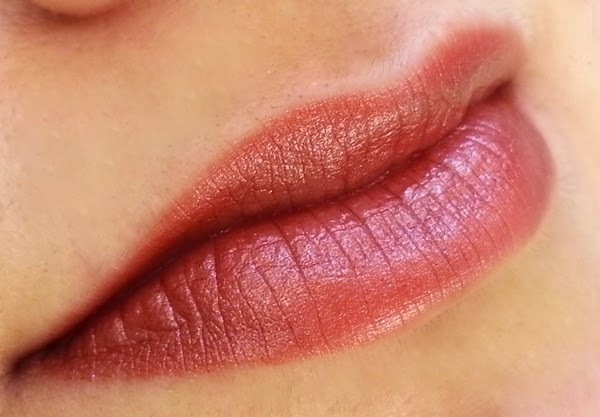 You can apply a tiny spot of clear gloss over the center of your lips to get fuller lips effect (I love doing this!). I love pairing it with soft and subtle looks. It is indeed a stunning and elegant shade. It looks great with any outfit I wear. At day time, I apply it lightly to create a soft look. Pairing it with traditional dresses makes it all the more pretty. It would look fabulous on all skin tones. • Does not bleed or smudge. • Swoon would look great on all skin tones. • Even and smooth finish. • No color representation on the outer part of the packaging. Red Apple Lipstick is a high quality organic and mineral lipstick that is gluten free, paraben free, cruelty free and truly vegan. It has great pigmentation and can be worn sheer or full bodied. The staying power is pretty good and my lips remain hydrated for the whole day. I would highly recommend it to everyone! Have you tried Red Apple Lipstick? How was your experience? Share in the comments section below!